[This story is reproduced with permission from indigenous.gov.au (1 April 2016)]. Indigenous Business Australia (IBA) has long been in the business of supporting Indigenous Australians to achieve economic independence. IBA has supported people to own businesses, purchase homes and invest in commercial ventures that provide strong financial returns. 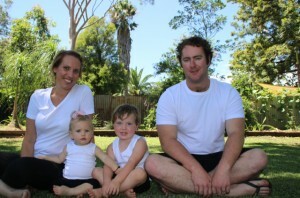 Jamie Miller and her family now own their own home thanks to IBA’s Remote Indigenous Home Loans. Now, IBA has taken it a step further with its new Remote Indigenous Home Loan (RIHL), designed to help Indigenous people in remote Australia achieve the dream of owning their own home. RIHL includes a concessional interest rate loan, as well as additional grants to meet related costs. One person who has taken advantage of RIHL is Jamie Miller, an Aboriginal woman from Narrabri, about two hundred kilometres north-west of Tamworth in northern New South Wales. Jamie says that she learnt about the loans through word of mouth. ‘I was talking to an auntie in Tamworth who suggested that it would be a good idea for us,’ Jamie said. Like many Australians looking to buy a home, Jamie worried that her financial situation meant the mortgage repayments would be more than she could afford. ‘We were worried about biting off more than we could chew with the loan, but IBA helped get our finances in order and gave us tips on where we could save in our weekly budget so we could afford the loan,’ Jamie said. The home loan wasn’t the only thing that helped Jamie’s dreams become a reality. She qualified for a grant from IBA for $20 000 to pay for any housing repairs or renovations during the life of their loan, ensuring that the move into home ownership is as stress free as possible. Jamie’s life has changed significantly since that day her auntie told her about IBA but she said the biggest change is the emotional difference home ownership has made to her and her family. “There’s such a big difference between owning and renting a house,” Jamie said. Find out more about IBA’s Remote Indigenous Home Loans.